President Muhammadu Buhari on Thursday night returned to Abuja after attending the Forum on China and Africa Cooperation (FOCAC) in Beijing. During the six-day visit to China, Buhari held bilateral talks and witnessed the signing of some agreements between Nigeria and China in the areas of Information and Communication Technology (ICT) and the economy. Buhari won the crucial support of Jinping, for Nigeria’s aspiration to build the 3050 Megawatts Mambilla hydro-power project. He revealed that Nigeria and China also signed the agreement of 328 million dollars for the Information and Communication Technology Infrastructure Backbone Phase II (NICTIB II) project. The concessional loan agreement between Galaxy Backbone Limited and Huawei Technologies Limited (HUAWEI) was signed by Nigeria’s Minister of Finance Kemi Adesoun and Wang Xiaotoa, Director-General, International Development Agency of China. The presidential aide disclosed that Nigeria and China also signed a Memorandum of Understanding for the One Belt One Road Initiative (OBOR). 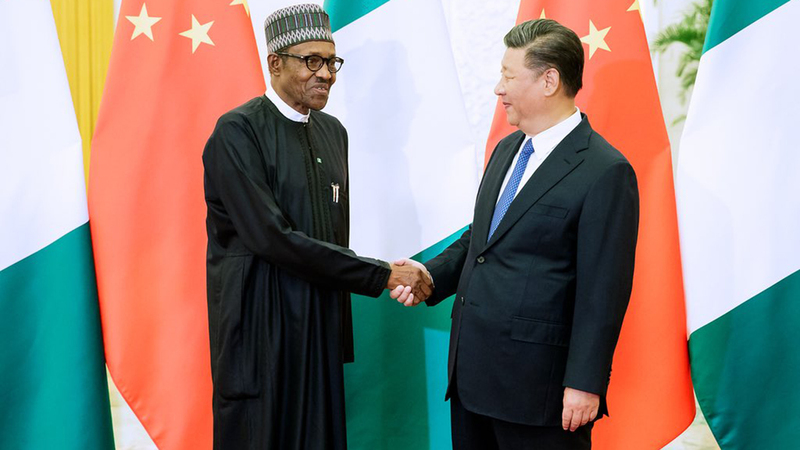 In Beijing, Buhari also received assurances from the Joint Venture Partners handling the 3050 Megawatts Mambilla Hydro-power Plant of which arrangements had reached advance stage for the commencement of work early in 2019. Buhari received the assurance when he was briefed on time lines for the commencement of work at a meeting with Prof. Lyu Ze Xiang, the President of CGCC, the company handling the project. The president, at separate meetings with prospective Chinese investors on the sidelines of FOCAC, assured existing and prospective Chinese investors of high-level support for their investment plans in Nigeria. Buhari pledged that Nigerians eligible to vote in the general elections would be allowed to freely elect candidates of their choices.